Save the Harbor/Save the Bay is pleased to announce five days of free programs each week during July and August for youth and community groups at DCR's Carson Beach. Healthy outdoor activities include soccer clinics, swimming and kayak lessons, environmental exploration, fishing, crabbing and digging for clams and storytelling, poetry, and art on the shore and more! This pilot program features partnerships with America SCORES, offering free soccer clinics, the YMCA, offering free swimming safety education and aquatics, and Boating In Boston, which is offering free kayak instruction. 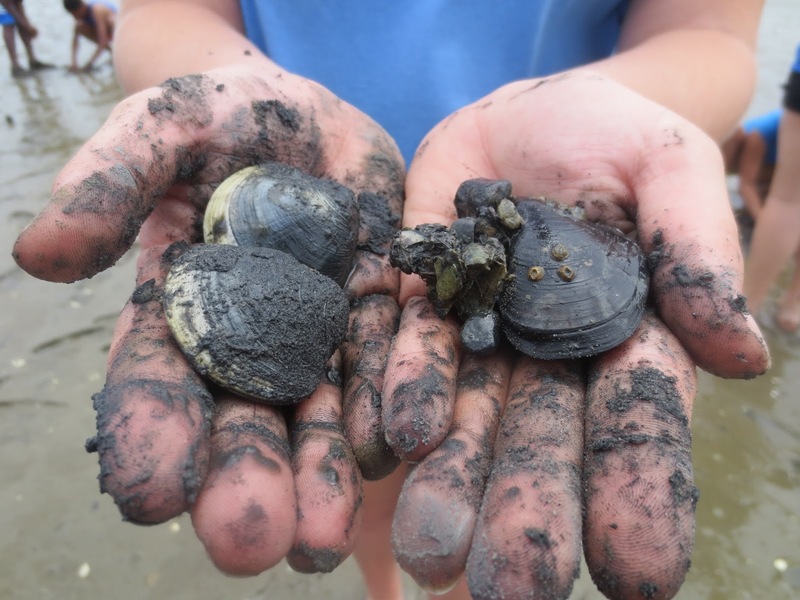 Funds to support these free activities come from Save the Harbor's Better Beaches Program. South Boston Neighborhood House campers learn some kayaking techniques! Save the Harbor/Save the Bay Youth Environmental Education Program staff will be on site five days a week, coordinating the site and offering fishing, clamming, healthy outdoor activities, and art and storytelling on the shore. 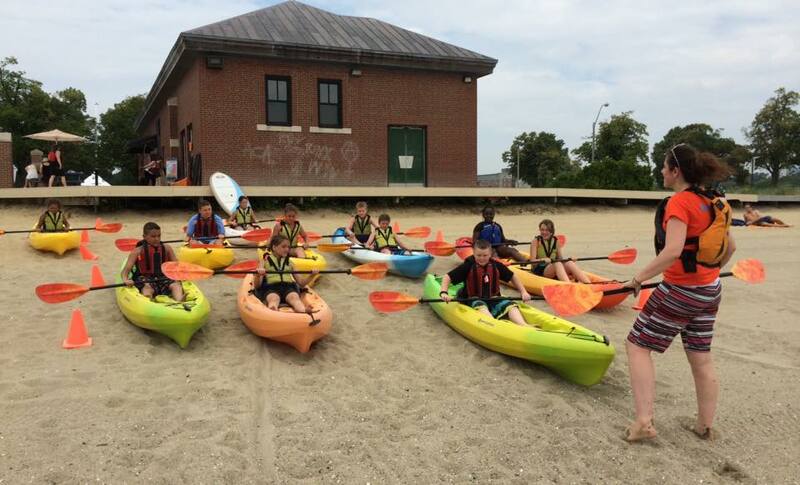 The Boston Harbor Explorers Program at DCR's Carson Beach runs from 9:30 am to 3:30 pm from Monday-Friday in July and August. If your group is interested in taking part in this free pilot program, please contact Bridget Ryan via email (ryan@savetheharbor.org) or cell phone (860-803-0831), or call the Save the Harbor office (617-451-2860 x1008). Kids can spend their day digging for clams during low tide! This great public beach is open to everyone, however groups that want to take part in this summer's free pilot programs must register in advance. Boating in Boston will offer kayaking on Wednesdays,Thursdays and Fridays. The YMCA’s schedule will be tide-dependent, so call ahead. Parental permission is required for swimming lessons and kayak lessons. For more information on how to register for the YMCA Swim Safety Education Program, contact Jeremy Stiles via email or phone (781-933-5177). Be sure to also download a copy of the YMCA’s permission slip here. For more information about kayak lessons, please contact Bridget Ryan via the information listed above. Download a copy of Boating in Boston’s permission slip here. Save the Harbor/Save the Bay would like to thank the Department of Conservation and Recreation, the Metropolitan Beaches Commission and our Youth Environmental Education and Better Beaches program funding partners, sponsors and supporters for making this pilot program possible.